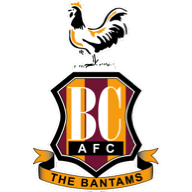 Striker James Hanson scored the only goal as Bradford extended their unbeaten run in League One to six matches with 1-0 victory over Blackpool at Valley Parade and lifted them to ninth in the table. Hanson struck with a powerful header from Tony McMahon's right-wing corner in the 45th minute from Tony McMahon's corner to earn Bradford the points. 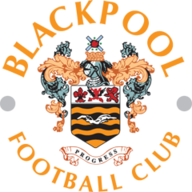 The goal was reward for a lively first-half display by the home side as the Blackpool defence struggled to cope with the pace of Kyel Reid on the left. And it was from one of Reid's crosses that Bradford almost scored in the 23rd minute when Devante Cole turned sharply in the box and shot goalwards only to see goalkeeper Colin Doyle turn the ball over the crossbar. Blackpool gave Bradford some anxious moments in the second half but they could not force an equaliser and the nearest they came to scoring was in the 57th minute when defender Rory McArdle blocked David Norris's shot and the ball looped over keeper Ben Williams' head and behind for a corner.